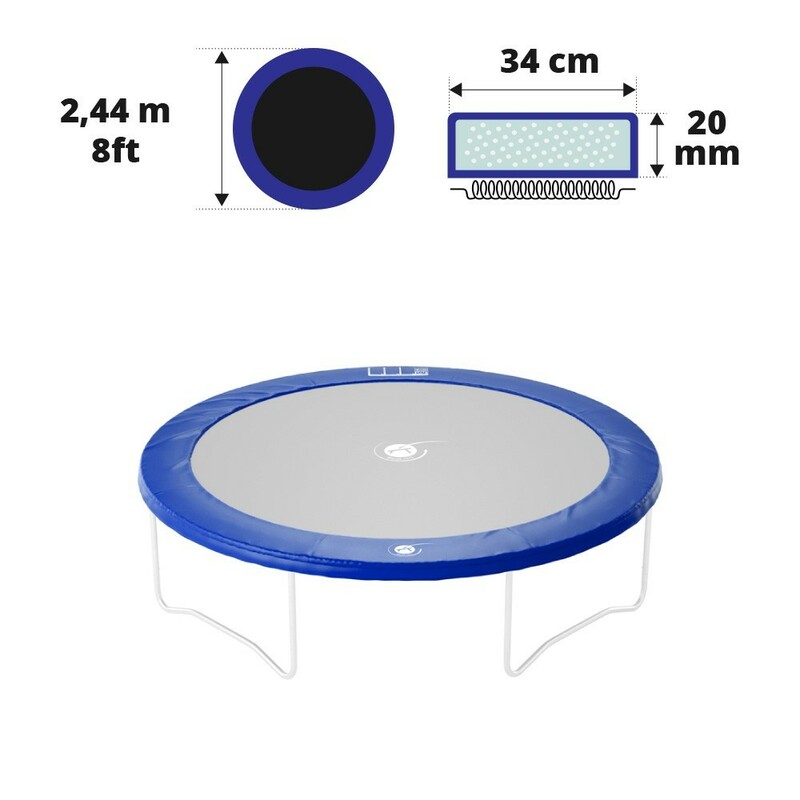 Thick blue frame pad for recreational 250 trampoline. This is an essential spare part so that your children can continue to enjoy trampolining safely. It firmly breaks any falls and covers the springs on your trampoline. It is highly recommended to change this component if it is no longer capable of ensuring safety, so that your children avoid falling on the springs. 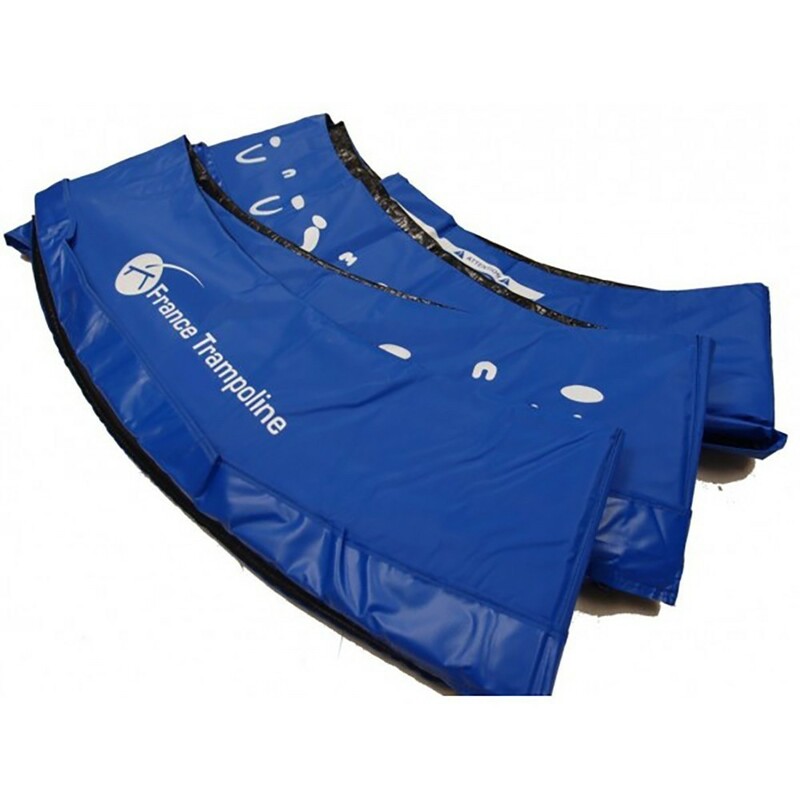 It can be fitted to any trampoline with a diameter of 2.44 m (8ft), using springs between 140 mm and 180 mm in length. 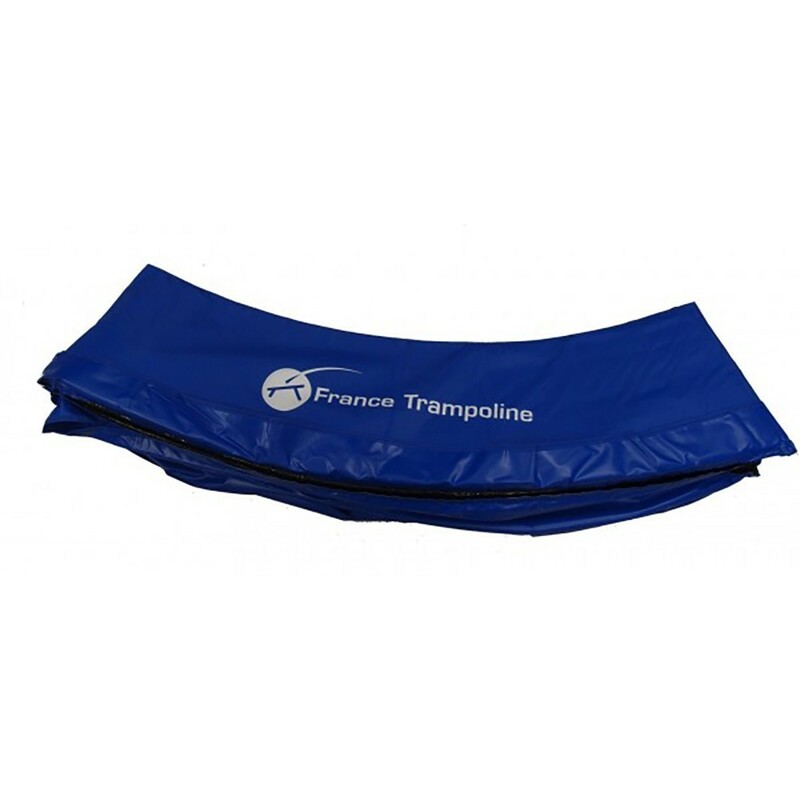 - This blue frame pad was originally designed for the Oxygen 250 or Jump’Up 250 trampoline but will fit any other model of the same size even if it was not bought at France Trampoline. Make sure you measure the exterior diameter of your steel framework before buying this frame pad. - This component must last for a long time and is one of the essential protective components of your trampoline, therefore we have chosen to use a monobloc EPE foam (expanded polyethylene) which is efficiently shock absorbant and will not disintegrate over time. - This foam is protected and is entirely covered in high quality blue PVC. It has been UV protected and can remain outside all year round. - Furthermore, this frame pad fixes to the trampoline using black elastic straps. It ensures that the frame pad is securely attached to the framework and allows a slight flexibility, which is useful when the trampoline is in use.